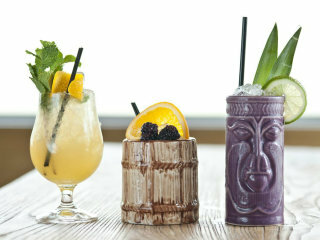 The rum-loving, Hawaiian shirt-wearing is back for another round of the tropical drinks at some of Austin's best craft cocktail bars. Participants can learn the history of tiki drinks from local craft bartenders and take part in various events, including a tiki boat party and a live performance of legendary surf rockers, The Ventures. Participating bars include drink.well., The Tigress, Peche, Half Step, Pleasant Storage Room, Contigo, East Side Showroom, Whisler's and Red 7.